XiMED Medical Group started in 1979 by independent physicians at Scripps Memorial Hospital in La Jolla. The name (pronounced Zi-med), is a compound word meaning “Excellence in Medicine.” XiMED physicians share a common commitment to provide quality, personalized health care to all patients, as well as providing patients a choice of physicians in a variety of specialized fields of medicine. 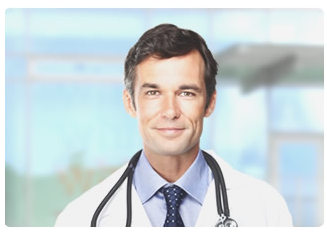 The doctor-patient relationship is the primary focus of XiMED’s health care mission. We believe this is what truly sets us apart, and this philosophy is at the center of what XiMED stands for today. The IPA will operate in tandem with, but independently from, XiMED Medical Group. The IPA will function as a clinically integrated model of care. In essence, clinical integration involves providers working together in an interdependent fashion so that they can pool infrastructure and resources, and develop, implement, and monitor protocols. The IPA will be guided by an evidence-based approach to medicine with member physicians implementing clinically based guidelines focusing on quality outcomes. The IPA will develop practice standards and protocols to govern treatment and utilization of services. With the increasing government emphasis on measuring quality, it is critical to the success of any physician organization to demonstrate quantifiable outcomes. Information systems necessary to gather aggregate and individual data on the nature of the services provided will be implemented. IT systems will provide the opportunity for IPA physicians to not only work together by using electronic medical records (EMR), but provide an unprecedented opportunity for independent physicians to work together to improve the quality of care. A Hospitalist is a physician who specializes in caring for patients while they are in the hospital. A Hospitalist manages all aspects of your treatment – from the time you are admitted until the time you are discharged. Your Hospitalists will not only provide you with around the clock care, but will also coordinate with all specialists and departments within the hospital regarding your treatment. Upon discharge, your Hospitalist will also contact your primary care physician to arrange for follow-up care. XiMED Hospitalists, Inc., provides Hospitalist coverage to patients who are admitted at Scripps Memorial Hospital. Our Board Certified Internal Medicine specialists provide coverage 24 hours per day, 7 days per week. Our goal is to provide you with the highest quality patient care, in the most efficient manner possible. XiMED Foundation is committed to improving the delivery of quality healthcare to the patients we serve through coordinated and integrated clinical practice, education, research, and technology. The XiMED organization has long held the belief that the delivery of quality medical care is best accomplished when the needs of the patient are put first; where skilled physicians, using the most advanced, innovative diagnostic & therapeutic technologies are free to focus on patient concerns. XiMED physicians feel that the best setting to accomplish this task is in an integrated, multi-specialty model where trust and respect for the patients needs are always the primary focus. Today, a crucial component of this integrated model is the use of information technology designed to provide physicians real time data at the point of health care delivery. Integrated clinical practice models provide an ideal setting to implement such technology due to their collaborative environment. Information technology allows patient information to be shared with physicians who are connected, not by walls in a building, but by professionalism and their commitment to patient care. The purpose of the Foundation is to fund technology designed to improve the sharing and timeliness of this type of patient information in a clinical setting. Foundation funds will also be used to support the continuation of research into the cause and prevention of disease, as well as, advancing medical education in order to better respond to the evolution of the science of medicine and societal trends. The XiMED Foundation raises, manages, and disburses the necessary funds to accomplish these tasks. By serving as the donors’ hands, the Foundation will be able to reach out to patients, researchers, physicians, and the community to provide resources that would not otherwise be available. We understand the needs of individuals recovering from surgery or illness and the importance of maintaining their independence at home. Recuperation takes time and can threaten the activities we often take for granted. Dressing, bathing, eating, walking, driving – essential activities of daily living – can be challenging. XiMED At Home was created to address these needs with the utmost compassion and attention to detail. Our support can begin at the time of discharge from the hospital, outpatient surgery center, or skilled nursing facility to help patients safely and comfortably settle into their homes. XiMED At Home caregivers are available to provide assistance for as long as need exists. We choose our caregivers carefully. They are reliable, thoughtful health professionals and companions who share a passion for enhancing the quality of life for our clients. Our staff is thoroughly screened by XiMED At Home to ensure the finest care possible. Our extensive pre-employment screening process includes personal interviews, comprehensive background searches, and psychological evaluations. Located in prestigious La Jolla, the Scripps/XiMED Medical Center is home to over 100 XiMED doctors, with many of them owning partnership interests in the building. The remainder of the XiMED physicians practice in locations throughout San Diego. This facility, which opened in 1992, now includes world-renowned physicians in all fields of medical practice and contains some of the most modern medical equipment in the region. The XiMED building was designed to bring the latest in technology to patients in a comfortable, simple-to-navigate environment. Patients enjoy no-hassle referrals because practices work closely together and additional services are located on-site. The building is home to the Scripps Imaging Center, Scripps Outpatient Surgery Center, and Scripps Polster Breast Care Center. Other specialized services are available nearby in Scripps Memorial Hospital. MD Today Urgent Care primarily refers patients to XiMED Medical Group in order to provide patients with immediate access to an extensive network of multi-specialty independent physicians. MD Today Urgent Care strives to provide quality and consistency for patients and the local community. MD Today Urgent Care & Len Jurkowski M.D.’s Family Practice is dedicated to providing the highest quality urgent care, occupational health, and family practice medical services to San Diego. The reason our founders, Len and Anne Jurkowski opened the doors of MD Today Urgent Care was to put the patients needs above all else. We are a small business, independently owned and operated, and strive to provide an excellent patient experience for everyone that steps through our door. ©Copyright XiMED 2019. Please note all medical services rendered by XIMED physicians are provided through such physicians' indepedent medical practices, and not through XIMED.